Baseball arm strength is important in all baseball positions. 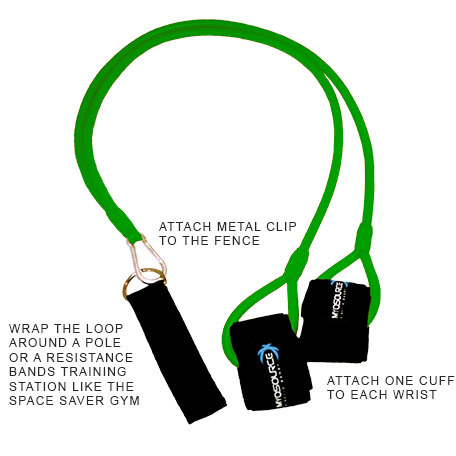 ArmPro Bands are a unique strength training tool designed to help baseball players strengthen their upper body (arms, shoulders, rotator cuffs, and back) while performing stretches which will help improve performance and help prevent injuries. Baseball players have been using resistance bands in their baseball stretches for a long time to strengthen and stretch out their arms before, during, and after practice or games. Baseball stretches with ArmPro Bands are easy and effective in strengthening a ball player’s upper body and can be done with less effort than baseball stretching performed with traditional resistance bands. ArmPro Bands fit easily in a bat or athletic bag and can be used almost anywhere at any time by serious baseball players who want to improve athletic performance and keep arms and shoulders strong and healthy.